Surprisingly, uPVC can actually make indoor air quality better over the long run. How? Surprisingly, uPVC can actually make indoor air quality better over the long run. How? With its smooth easy-to-clean surface, allergy-causing materials such as dust and pet fur don’t get a chance to become ground in. Plus the surface resists build-up from common household pollutants. 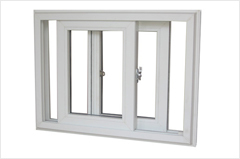 Windows with uPVC should last about 40 years if properly fitted. They require no maintenance, they don’t need to be painted and can be wiped clean. How does u – PVC Doors & Windows react in fire? Will the u – PVC Doors & Windows change colour? 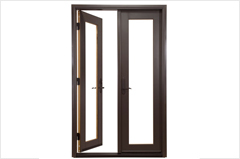 Is u – PVC Doors& Windows more costlier than other available alternatives? No, u – PVC Doors & Windowsworks out cheaper in the long run. Our windows are energy saving windows & can save up to 30 – 35 % electricity. Therefore making the cost of the window free of cost during its lifetime apart from the above these windows do are maintenance free & do not need painting & polishing therefore reducing the cost one has to incur over a period of time. Our windows do not need any maintenance as they do not warp unlike wooden windows which expand & contract in rainy seasons need regular repair & maintenance. In long term our u – PVC Doors & Windowsalmost return back the initial investment made on them & hence making it free of cost during its lifetime. 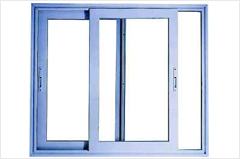 How strong are u – PVC Doors &Windows? Do you have any dealers I can meet with? As a strategic decision, Plasowin has decided to be in direct contact with its clientele. This option has multiple benefits. By being directly involved it eliminates delay, communication problems and risk of errors. This element is crucial when you manufacture made-to-measure windows and doors. And more so when you want to provide feedbacks and exchange ideas with your clients. Besides, this structure helps us in keeping a uniform price structure. Are you aware exactly how much heating costs can be saved? 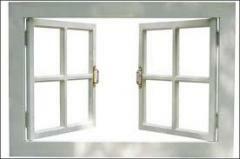 In comparison to old, single-glazed windows, heat loss per unit of glass area can be reduced to less than one-fourth. 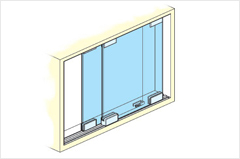 To achieve this, special thermal insulating glass is required. 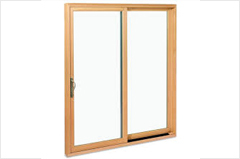 Yet substantial heating savings can be achieved with standard insulating glass as well. 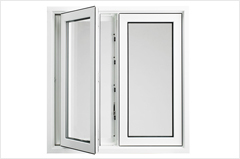 How about the thermal insulation properties of various window materials? PVC-U and wood provide marked thermal insulation, meaning their thermal conductivity is extremely low. By contrast, the thermal conductivity of aluminum is 1,000 times greater. Cold bridges are generally interrupted by using PVC-U bars. 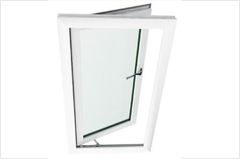 Apart from the profile design, the type of glazing used is also of paramount importance. How does Plasowin go about quality assurance? A look at Plasowin manufacturing, R&D and quality assurance operations provides the answer: there are more testing than production steps. Testing is conducted throughout – from incoming raw materials to windows in place in inhospilitable climates. Scheduled audits by independent testing institutes confirm Plasowin’s attention to detail. Why should I go with PVC products rather than aluminum and woods? Where is PVC-U used in construction? PVC-U is an approved construction material and one of the architect’s mainstays. PVC-U is as common in pipes, roof gutters, façade cladding, roofing, light-diffusing walls,interior fixtures, cable ducting, and signs as it is in windows and rolling/folding shutters. Its long service life makes it both an economical as well as environmentally safe solution. How can I tell good quality PVC? One way to assess the effectiveness of a frame is to examine the thickness (depth from inside to out). Ideally choose 60 mm thickness and ask about the thickness of the PVC in the frame – a multi-walled (not solid) section should be 2.2 – 2.3 mm. No. The great advantage offered by plastics is that they can be custom-engineered for a particular application. A slight change in a plastic’s molecular structure can result in substantial changes of its properties. That’s why not all plastics are the same, especially when it comes to window profiles. Is PVC the same as UPVC? PVC-U stands for unplasticised polyvinyl chloride They are both the same – unplasticised (or hard) PVC.